A vernier caliper is a dimension measuring instrument that is used to accurately measure not only the internal and external dimensions of an object but also its depth. 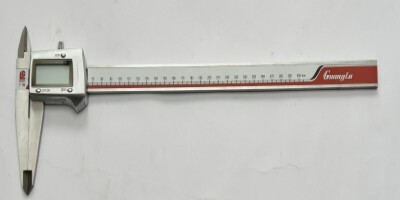 The instrument which is equipped with a fixed jaw and a movable jaw that moves along a graduated scale can measure to an accuracy of a hundredth of a millimeter. Owing to, both its exceptional precision and accuracy, the vernier caliper has found a great many uses in a variety of applications.